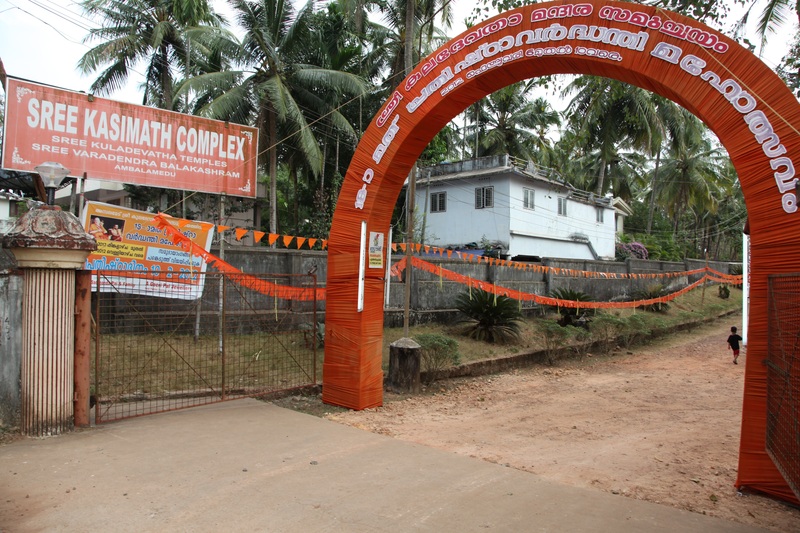 The 18th Annual Pratishta Vardhanti Mahotsav of the Sree Kuladevata Mandir Complex was celebrated from 06 Feb ’12 (Monday) to 10th Feb ’12 (Friday) at Ambalamedu. A good number of devotees participated in the events at different Kuladevata Temples in the Complex. Apart from the resident Purohits, several other Purohits invited on the occasion also led Dharmic programmes like Maha Ganapati Havanam, Hiranyasookta Saannidhya Havanam, Ashtaakshara Saannidhya Havanam, Panchaamrutaabhishekam etc. Samaradhana was arranged on all five days. His Holiness Srimad Samyameendra Theertha Swami, Patta Shishya of Srimad Sudheendra Theertha Swamiji of Sree Kashi Math Samsthan, visited Sree Kuladevata Mandir Complex on the Monday, 9th April 2012, at 8.30 am for a Devadarshan. Swamiji adorned a ‘Rajata Prabhavali’ at the Mahalakshmi Mandir during the occasion. Hundreds of devotees and Kulavis attended the programme and received the Hari Guru Kuladevatha blessings. H.H.Samyameendra Tirtha Swamiji has visited Sree Kuladevata Mandir Complex and camped at Sri Kashi Math Complex at Ambalamedu from 1st till 7th January 2014.